On his first day at a new school, Nick already catches the attention of the biggest bullies, the hottest girl (Reya) and the editor of the school paper (Eli) - which is not good when you're meant to keep a low profile. See, Nick's family is in the Witness Protection Program, and Nick isn't really his name. Eli convinces Nick to work on the paper with him, confides in him that he's working on a HUGE story, and then winds up dead. Meanwhile, Nick starts to suspect that his father, a former accountant for the mob, is somehow involved. This is just the kind of thriller I like - a juicy central mystery, lots of great twists, and characters that feel real. There's a palpable sense of danger throughout, but also bits of comic relief and a side of sizzling romance. Nick isn't someone who trusts easily and he's never had many friends, so it's both rewarding and heartbreaking to follow the developing relationships between him and his classmates. It was also fascinating to see Nick's inner turmoil as he tries to come to terms with his father's past and what that means for his future. 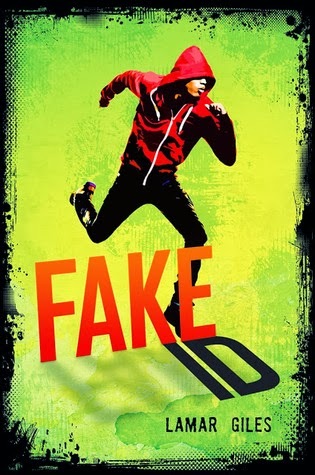 FAKE ID is available now! Find out more about it at the author's website. Huh, that sounds interesting. Normally I'm not into this kind of book, but I do love stories about people in the WPP. I'll keep a look out for this one at my library.